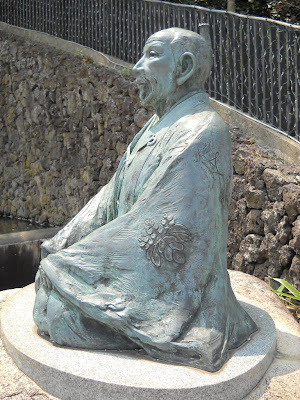 Toyotomi Hideyoshi is a known military ruler in the late 16th century, a very important figure in the history of Japan. Less people remember his wife's name. Nene ねね was a very beautiful and wise woman. She was the daughter of a samurai. Nene lived between 1546 and 1624, to locate her in time. 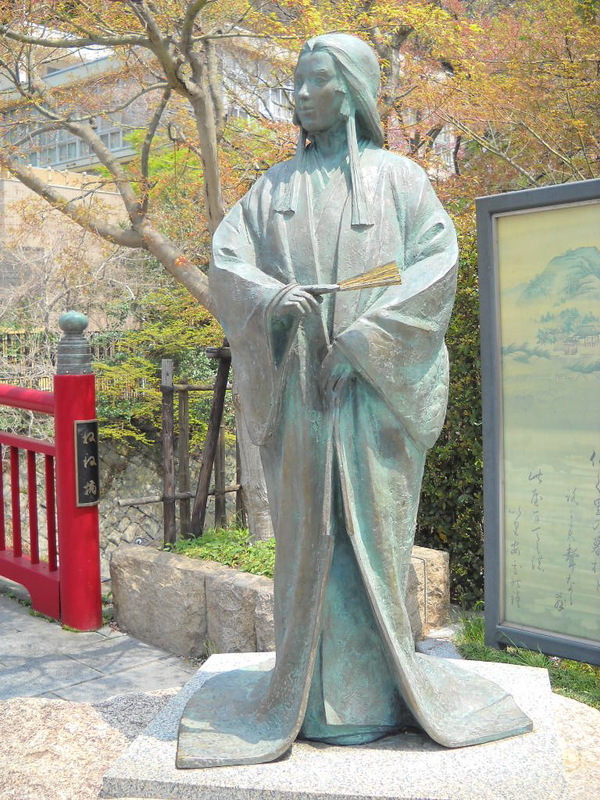 This is her statue in Arima, a famous Onsen in Hyogo Prefecture. Nene is said to have visited Arima Onsen 15 times with her husband. 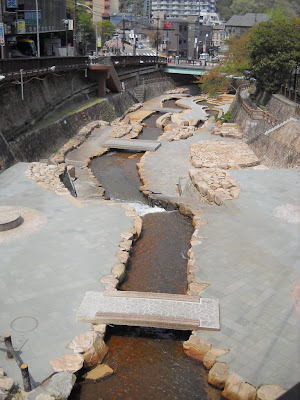 She took baths here, since it was believed that Arima’s hot spring was effective for pregnancy. 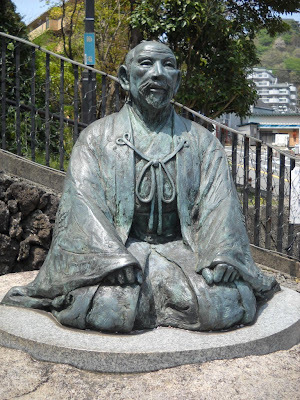 Yet, Nene remained childless and Hideyoshi had offspring from a second wife. After Hideyoshi died, Nene became a nun and lived another 26 years. 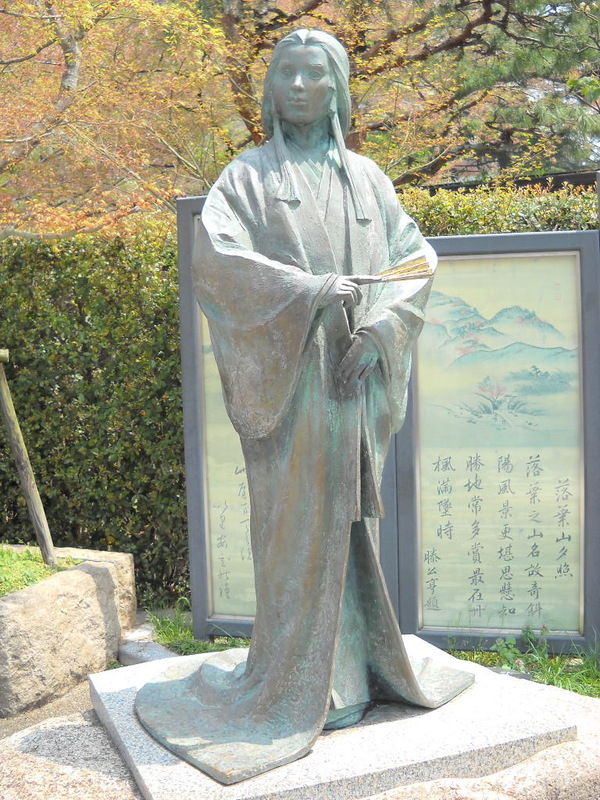 She took the name Koudai-in 高台院 and founded Koudai-ji, a Buddhist temple in Kyoto. In her name written in kanji, I can see 高 "high" and 台 dai like in daiza, "pedestal." In Arima Onsen, her elegant figure stands near Nene-bashi, a red bridge. 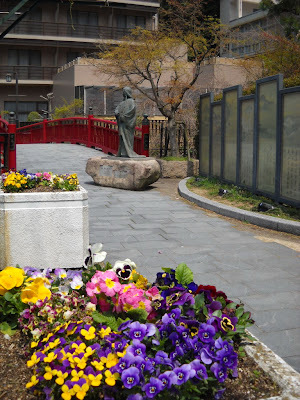 Her statue faces Hideyoshi’s statue. Though he was born as a commoner, Hideyoshi became the most powerful man in Japan and remained in history as one of the three unifiers of Japan. Torii - A Sacred Gate Called "Bird Home"